Description Photo courtesy of John Jaeger. John is second from the left in the first row searing suspenders and a patterned button down shirt. 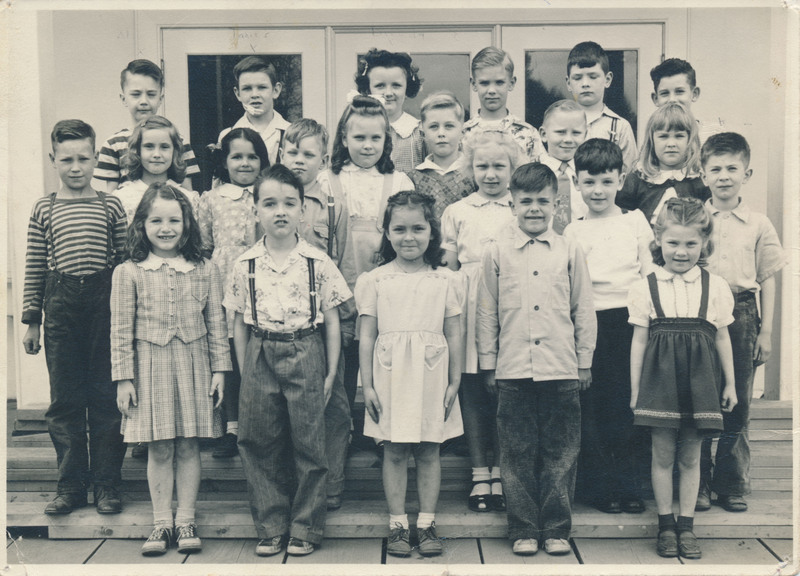 This appears to be another photograph of the Lake Grove First Grade in 1948.